Nationwide, patients, doctors, and manufacturers are becoming more aware of the potential risks of knee and hip implants. For the victims of the defective medical devices, the realization may come after severe pain, complications, and the need for reconstructive or rehabilitative surgeries. 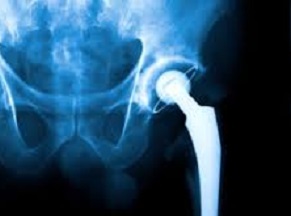 In a new medical study published in The Journal of Bone & Joint Surgery, researchers conclude that the Stryker Rejuvenate systems had high rates of failure between June of 2009 and July of 2012. During this time, 28% of patients who received hip implants had to return for revision surgery. According to the authors, the patients of the study had their surgery performed by an experienced and skilled surgeon. Patients who have suffered from hip replacement complications may entitled to significant compensation. Our Boston hip implant attorneys are dedicated to raising awareness and to helping our clients move forward after a defective hip replacement. We understand that significant pain, loss, and expense of defective medical devices and will take every necessary step to protect your rights and interests. Though the risks of Stryker hip implants have been known for years, this study confirms the alarming rate at which patients suffer failure. The study was initiated by a team of doctors who wanted to measure the metal ion levels in patients to determine the amount of corrosion wear. They measured levels in the blood system, determining that higher metal levels indicated a higher rate of corrosion of the implant. The study suggested potential causes of corrosion. According to doctors, if the surface of the metal is scratched, it can allow bodily fluids to come into contact resulting in corrosion. The scratched surface of the metal is caused by joints rubbing against each other and may be more common in younger patients. While traditional hip implants have only one joint, the Rejuvenate has a modular neck inserted into the femur stem and attaches to a ball on the other. Placing different metals in contact can cause corrosion. Doctors and analysts of the study asserted that the corrosion was caused by the “mismatch” of metals in the system. In addition to the mismatch of metals, a misfit of the joint could also cause wear and tear on the joint causing the scratched surface, erosion and corrosion. These are the primary defects of the Rejuvenate system that have resulted in significant pain, complications and the need for revision surgery. According to medical experts, the design is inherently flawed because proper insertion of the implant would require a force that could cause damage to the femur. Like any medical device product liability case, a plaintiff’s case will be strengthened by similar studies and publications. If you or someone you love has suffered from a defective medical device or implant, it is important to consult with an experienced advocate who can review your case. As with expert testimony in any case against a manufacturer, such as Stryker, publication and analysis of medical complications and potential defects can help to support a plaintiff’s case.